Dr. Anna P.Y. Tsui received her PhD degree from The University of Hong Kong’s business school. She is now a Senior Lecturer in Department of Management of The Chinese University of Hong Kong. Her teaching interests include management, business strategy, and human resource management with specialist subjects in relation to human resource management. In addition, she engages research in the areas of human resource management, labour law and industrial relations, corporate social responsibility as well as higher education management issues. From time to time, she also conducts training for organisations on various topics of interest. Before working as an academic, she was a veteran HR professional in business sectors such as electronics manufacturing, public utility, and hospital organisations. She was mainly a generalist responsible for a wide spectrum of HR activities. Anna P. Y. Tsui and Hang-yue Ngo (2017), “Students’ Perceptions of English-Medium Instruction in a Hong Kong University,” Asian Englishes, 19(1), 57-78. 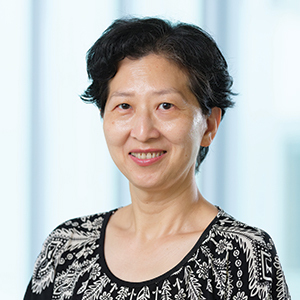 Anna P. Y. Tsui and Hang-yue Ngo (2016), “Social-Motivational Factors Affecting Business Students’ Cheating Behavior in Hong Kong and China,” Journal of Education for Business, 91(7), 365-373. Anna P. Y. Tsui and Hang-yue Ngo (2016), “Social Predictors of Business Student Cheating Behaviour in Chinese Societies,” Journal of Academic Ethics, 14(4), 281-296. Anna Po-yung Tsui (2009), “Labour Dispute Resolution in the Shenzhen Special Economic Zone,” China Information, Vol. XXIII (2), 257-284. Anna Po-yung Tsui and Sek-hong Ng (2008), “A New Brand of the Individual Labour Contract under Market Socialism: Case Studies in the Shenzhen Special Economic Zone of China,” International Journal of Employment, 16(1), 1-37. Anna Po-yung Tsui and Anne Carver (2006), “Collective Contracts in the Shenzhen Special Economic Zone in China,” The International Journal of Comparative Labour Law and Industrial Relations, 22(4), 469-506.